Calçots! Discover where to eat calçots in Barcelona! Home/Gastronomy/Where to eat calçots in Barcelona? Happy to help! 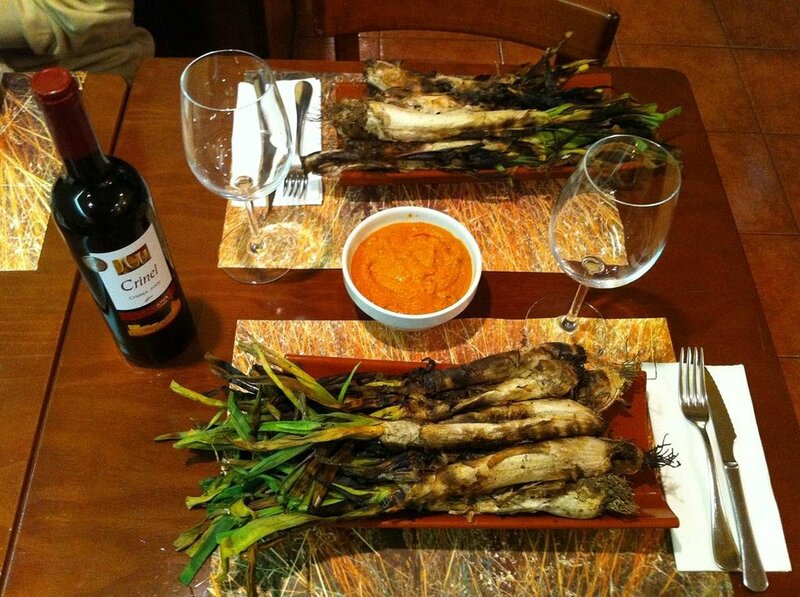 Today we will tell you what calçots are and where you should eat them if you are around in Barcelona. 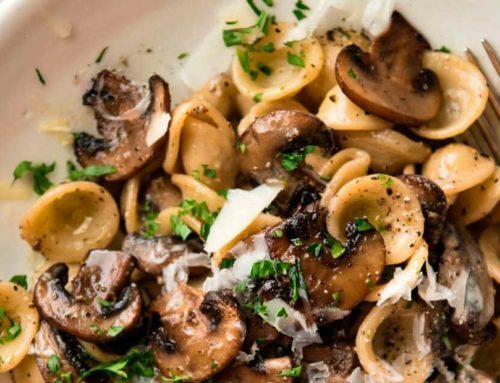 You already know that we are BIG fans of gastronomy at Hostemplo. Bringing you what’s on season to eat is a pleasure for us. 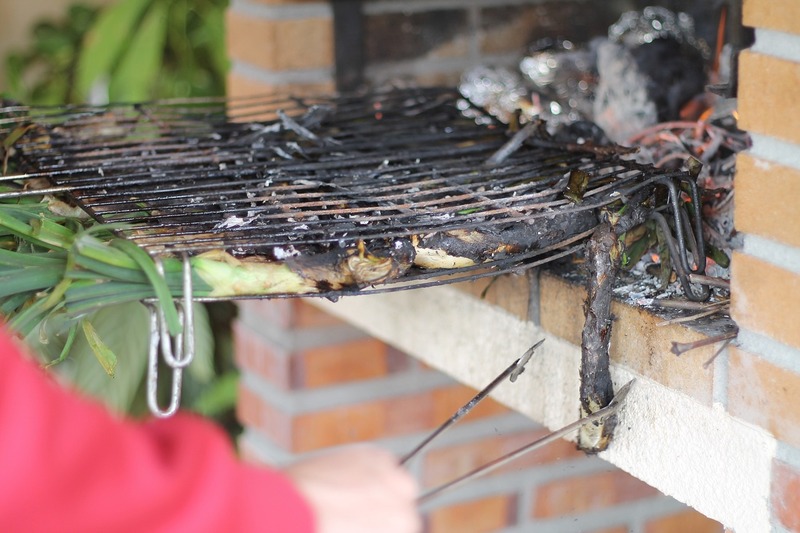 Having a look back at our gastronomy articles – mmm we do get hungry- we realize that we had not talked about the fabulous calçots yet… and it is RIGHT the time for it! Ready? The secret is in the sauce! 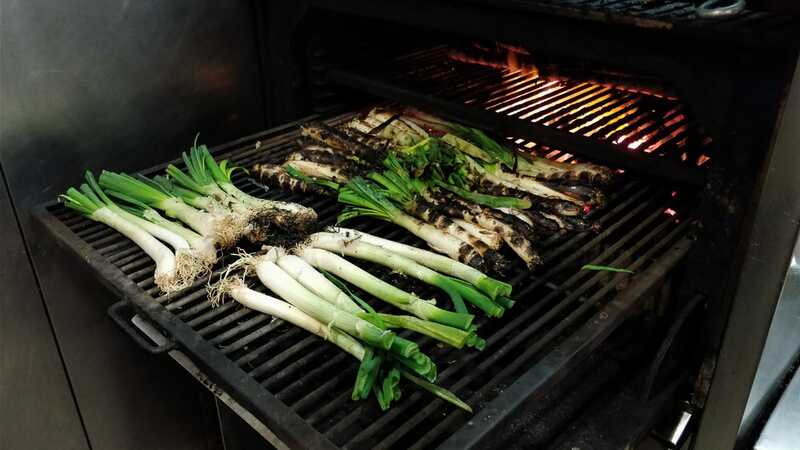 If calçot is all Greek to you, that’s because it is a Catalan term that defines a type of white scallion that is only raised in the province of Tarragona. Its main distinctive feature is its long shape, due to covering them with soil, the experts say. This onion is typical from the southern provinces of Catalonia, being so delicious that it is eaten all over Catalonia, part of Spain and now even abroad. The ideal season to eat such an exquisite delicacy is NOW. 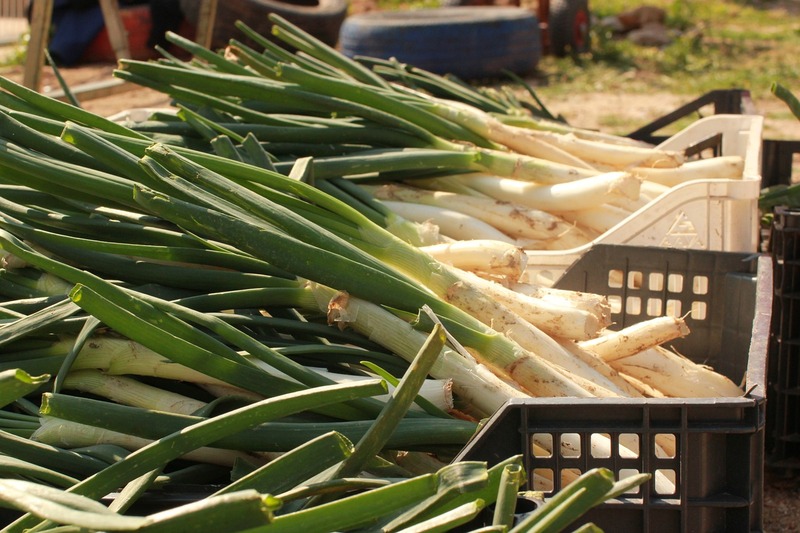 Though the season starts by the end of November, it is said that the best calçots are sold between February and March. And the season goes on until the end of April. 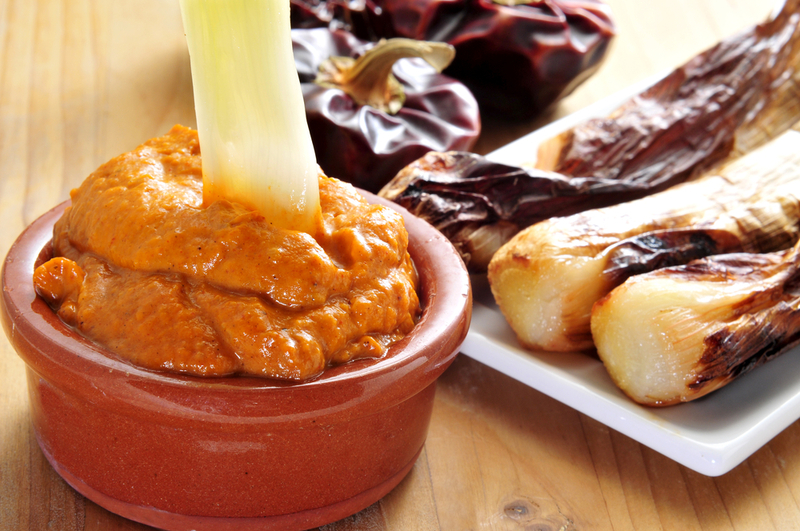 We must say that the calçots sauce is a bit like the gazpacho: each family cooks it with a particular touch. The ingredients may be alike, but a little bit of this, and a little bit of that and that is what makes not tasting two identical calçots sauce in our life. Want to cook it? We leave you therecipie here. Let’s go to the point, as you may be looking for a place to eat calçots, if you found us through Google; and we are here to help you. Enjoy a really complete calçotada! 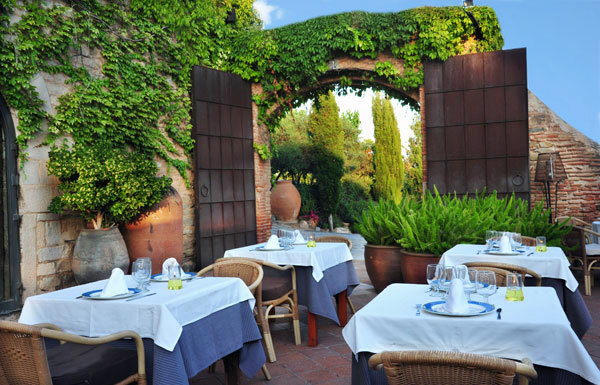 They offer a menu that is perfect for the season, which includes: a tile of calçots, toasts, alioli (galirc sauce) and, of course, romesco sauce. As main course you have meat barbecue with caliu potatoes (sort of jacked potatoes), French fries and beans as side dish. To help your stomach settle, you have homemade desserts; drinks and coffee are also included. What else? Location: 44, Valladolid Street, Sants-Montjuïc. They’re great experts in Catalan gastronomy. 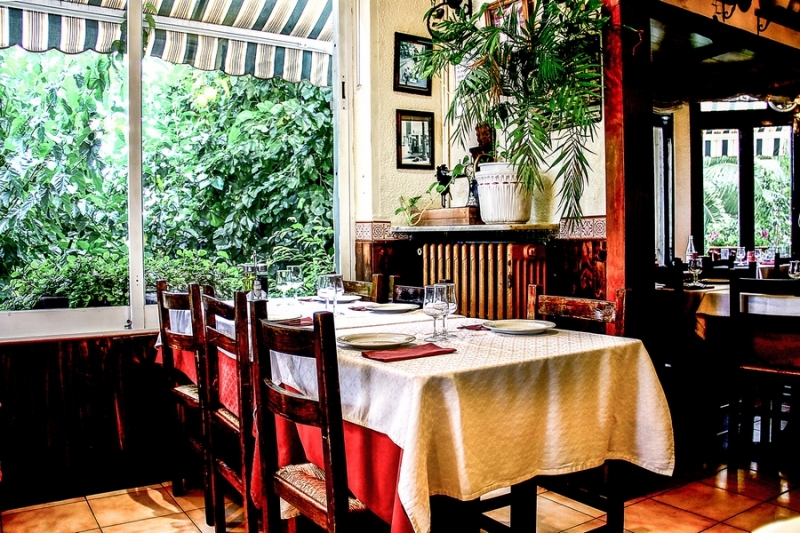 Their Su calçotada menu includes a tile of calçots with romesco sauce–you can have a second helping–, meat barbecue with butifarra (Catalan sausage) and lamb, caliu potatoes, white beans, artichokes and grilled tomatoes, as well as a farm bread toast with garlic and tomato. For dessert, you can chose between crème brûlée and ice cream; the menu also includes the drink, a glass of cava and coffee. Location: 2, Albert Llanas, Horta-Guinardó. What about…? Calçots and toasts with alioli (garlic sauce) as a first course, followed by a rabbit, pork and chicken barbecue and crème brûlée with wafers and a wine jar, also sweet wine. That goes with plates of caliu potatoes and beans. Drink and coffee are included in the menu. Let’s go! 12 calçots per person, toasts and romesco sauce to start; as a main course, you can chose either entrecote or meat barbecue. The price of the menu also includes dessert and drink. Feeling like tasting the calçots? As you know, from Hostemplo, we always aim to bring you the best routes: cultural, culinary, historical ones, etc. for you to enjoy the experience and make the best of your stay in Barcelona. Let us remind you that if you are looking for accommodation in Barcelona, we are your best choice! Plus, if you book through our wen, you’ll have FREE breakfast during your whole stay. So what are you waiting for?